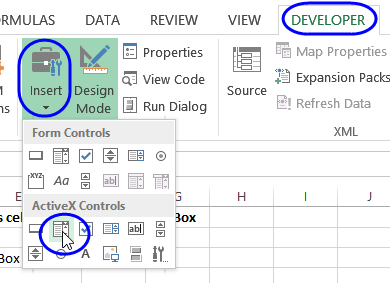 On a worksheet, you can add combo boxes to make data entry easier. 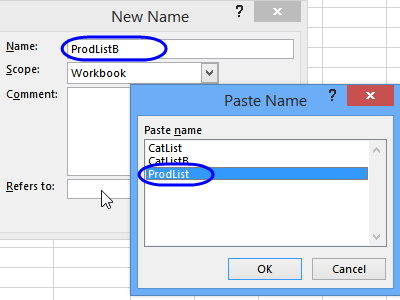 These are similar to data validation drop down lists, but have more features and flexibility. For example, they autocomplete, when you start typing in them, and the font size can be changed. For UserForm combo boxes, see this page. 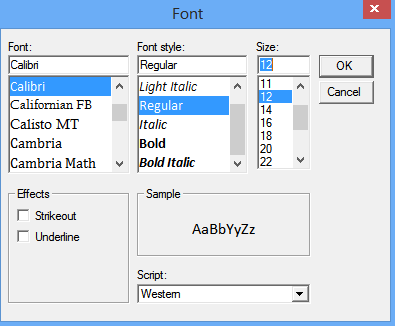 You can change the properties, to adjust the font size, number of visible rows, and other settings. If the popup menu doesn't appear, click the Developer tab, and click Design Mode, then right-click on the combo box. 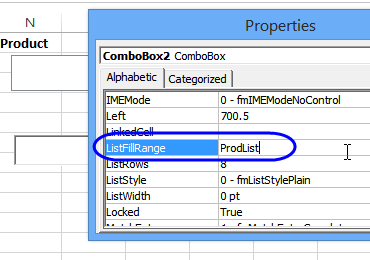 To show a list in the combo box, you can use a named range, or the address for a worksheet range. In this example, we'll use a named range -- MonthList. 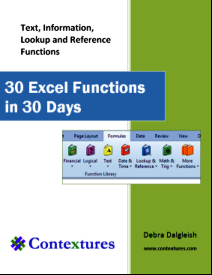 NOTE: For Excel 2013, see the additional information in the next section. Type a range name or range reference -- you can't click on a range to select it. 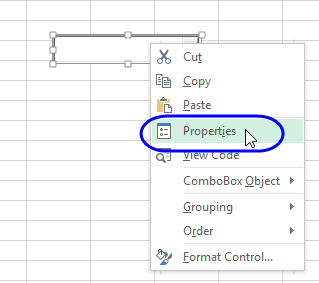 In Excel 2013, in the ListFillRange property for a worksheet ActiveX combo box, you cannot change the property to use a named range that is based directly on an Excel Table. 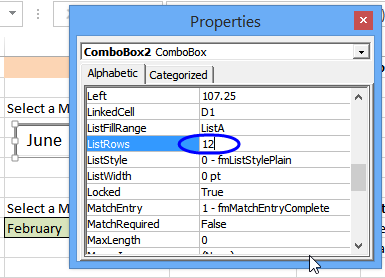 If you enter this name in the combo box's ListFillRange property, the name will not be accepted -- the property will be cleared, and the list of names won't appear in the combo box drop down. 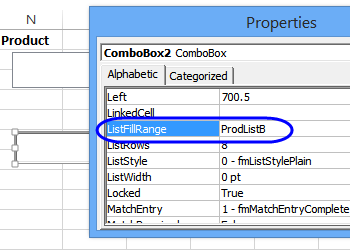 Then, in the Combo Box, use the second name -- ProdListB -- in the ListFillRange property, and it will be accepted, because it is not directly based on a table. 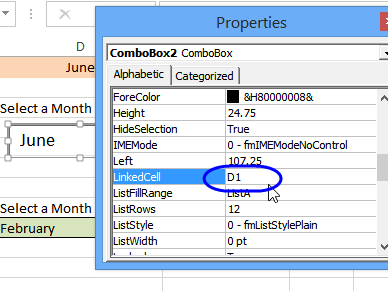 When a selection is made in a combo box, you can display the selected item in a cell on the worksheet. 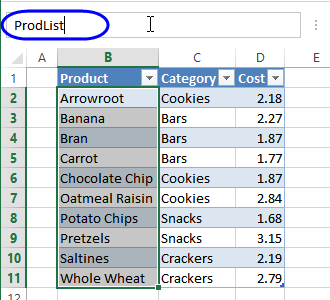 Type a range name or cell address -- you can't click on a range to select it. To make the list easier to read, to can select a different font and font size. 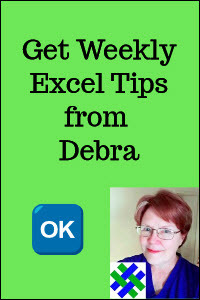 Click the ... button that appears at the right side of the Font box. By default a new combo box shows 8 rows, and you can scroll to see additional rows. You can change the number of rows, so that more are visible. 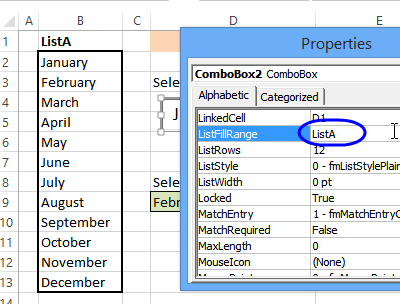 In this example, the list shows month names, so we can set the number of rows to 12, so all the month names are visible, without scrolling. 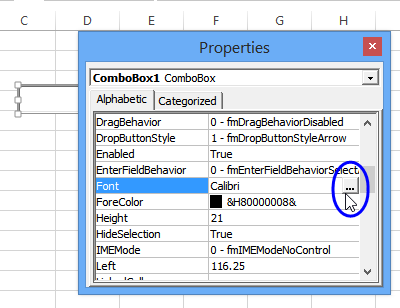 To see how the combo box works, you can download the sample file. 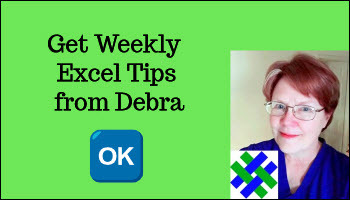 The zipped file is in xlsx format (Excel 2007 and later), and does not contains macros.